Share the post "Album review: RUSH – 2112 – 40th Anniversary Edition"
There are many albums that can be considered as classics in rock, however there are a select few which go beyond that classification. This select band of albums are records that define a genre, ones which you would pass to the uninitiated as a starting point and hail as the pinnacles of musical achievement. In prog rock circles a few albums spring to mind,’ The Lamb Lies Down On Broadway’ by Genesis and ‘Dark Side Of The Moon’ by Pink Floyd to name but two. For me though 2112 by Rush is the ultimate. 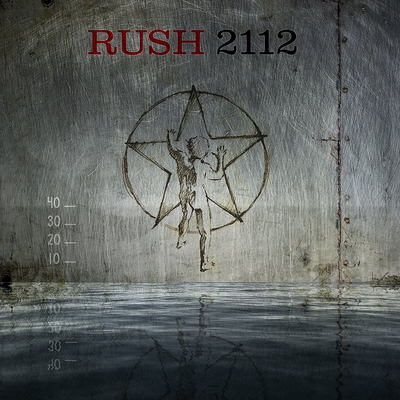 2112 was Rush’s 4th album and it was originally released on 1st April 1976. This deluxe edition released to celebrate it’s 40th anniversary features a fully remastered version of the original release which adds a level of polish to an already shining example of musical dexterity. The remastering has helped to lift the dynamic sound of the original, with all songs sounding fresh and revitalised. As well as the original remaster this deluxe package also includes a second disc which features a few rare live recordings, including a version of ‘Twilight Zone’ recorded live in 1977. This version sounds like it was taken from a bit of a dodgy bootleg tape lovingly purchased at a record fayre back in the day. Of more interest though are the re-recorded tracks by various invited artists, all of whom are long time fans of the band. Highlights of these are ‘Overture’ featuring Dave Grohl and Taylor Hawkins, Billy Talent doing ‘Passage To Bangkok’ and a fantastic cover of ‘Tears’ by Alice In Chains. All the cover versions are excellent and well worth inclusion here. 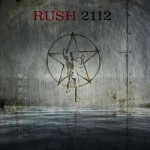 The artists involved emphasise the influence that Rush and ‘2112’ has had on some of today’s biggest rock artists. This is a package worthy of a place in any rock lover’s collection. The original album was worth having anyway but in the remastered form, and with the added content, it is an essential addition whether in CD, Vinyl or digital form. This entry was posted in ALBUM REVIEWS, ALBUM REVIEWS (Mobile) and tagged 2112, album, Alex Lifeson, Alice In Chains, Billy Talent, CD, Dave Grohl, deluxe edition, Geddy Lee, live, Neal Peart, Overture, Rush, Taylor Hawkins. Bookmark the permalink.